The other night while binge watching some Hulu, I came across a preview for the upcoming movie, The Revenant. When I saw that both Leonardo DiCaprio and Tom Hardy are in the film, I thought it might be another Christopher Nolan masterpiece. The Batman Trilogy, Inception, and Interstellar are all on my list of favorite movies, so needless to say, I was excited. 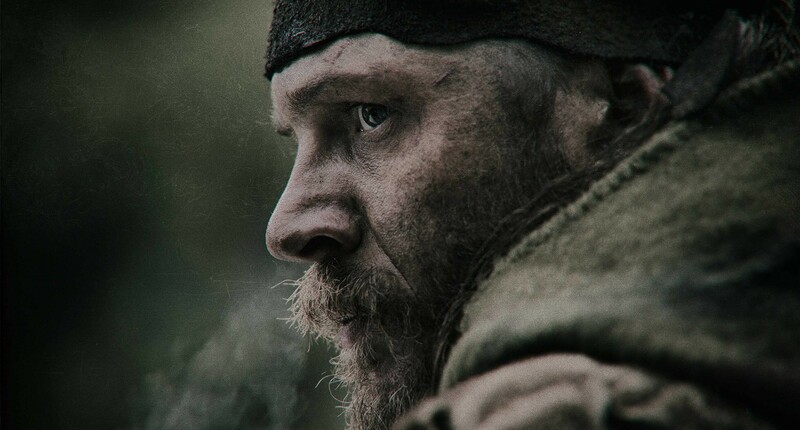 As it turns out, the movie is in fact directed by Alejandro G. Inarritu (Birdman), but if the trailer is any indication, The Revenant is still not one to miss. The cinematography looks amazing. 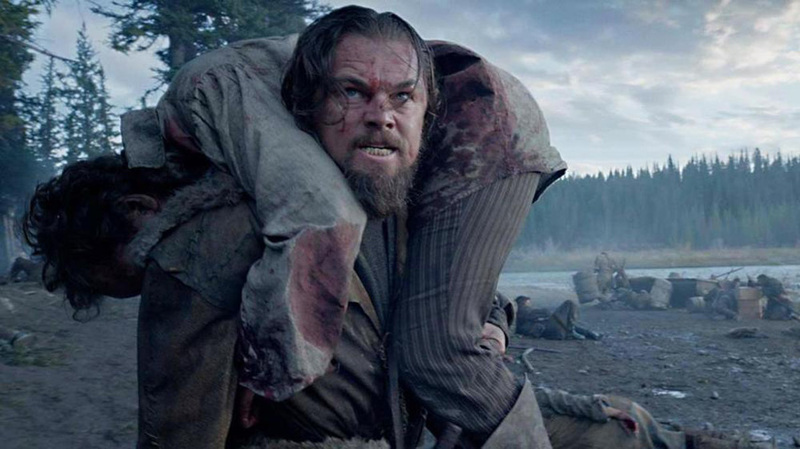 One clip shows Dicaprio being attacked head on by a raging grizzly bear. Another clip depicts a herd of bison storming passed him in almost majestic form. What finally hooked me, though, were the closing frames of the trailer, which reveal that the movie is based on true events. Apparently the movie tells the story of Hugh Glass (played by DiCaprio), a fur trapper who is attacked and severely wounded by a Grizzly Bear while hunting on the Western Frontier. Rather than attempt to nurse him back to health, Glass’ friends decide to leave him for dead. It gets worse. When Glass’ son protests the decision, a scuffle ensues, and Glass has to watch, helplessly, as his son is murdered. According to tradition, Glass climbs out of the half dug grave he was left in and travels over 80 miles to hunt down the men who betrayed him. Tough stuff to fit into a preview, but man was I hooked! A blogger who wrote a review for the film reduces the plot of the movie to a story of revenge: Man seeks vengeance for betrayal and murder. His review of the movie also mentions that according to history, the story actually ends with Hugh forgiving the men who left him to die. He traveled all that way only to turn around and forgive the men he sought to destroy. In a rather revealing manner, the writer of the blog closes by saying we can only hope for a more exciting ending. I guess we will have to wait and see how Alejandro interprets the events. The review begs the question, is forgiveness too boring for Hollywood? It is understandable that Glass would want to avenge the death of his son and his own betrayal. There would be nothing more natural for me than to want to choke the life out of someone who physically harms my child. Who could really forgive in that situation? What is natural for us is to crave justice. Those men deserved to die. And nothing is more compelling for us than vengeance. What wounded man would travel that far just to forgive someone? Surely seeking to forgive could not be motivation enough. However; revenge, hell yeah! Pull yourself up by the bootstraps and get it done. Forgiveness on the big screen is apparently no match for comeuppance. It’s just too anti-climactic. I can’t help but make the jump to the gospel. The gospel itself is the story of a God who has been forsaken by his own creation whom He loves. God’s only Son was and is the only one who truly stood up for Him. This resulted in his death. But the gospel differs in that mercy and forgiveness is not an afterthought for God, it was and is his intention all along. Jesus is the true and better Revenant. He didn’t come back from the dead in order to punish. He was fueled by an illogical desire to forgive those who abandoned and killed him. Mercy has triumphed over judgment! In our local bible study on Romans, I’ve been trying to convey the motivating power of forgiveness. Our natural default mode is justice. This is why we’re addicted to the Law. It makes perfect sense to us – eye for an eye. Deal, got it. When we sin personally, we recognize something bad should be coming to us any day now. A consequence. This transfers into our horizontal (day to day) interactions. Sure I like you, but only as long as you like me! I’ll help you, but only if you help me! But when Jesus throws out things like “turn the other cheek” or “seventy times seven” we scoff. Certainly he doesn’t really mean that. Being forgiven and seeking to forgive is not anti-climactic in real life. It’s the very foundation of life itself. Without it we all perish. To be forgiven and to forgive, to seek and reconcile sinners to a loving God, to proclaim the message of unconditional forgiveness, is thrilling! The knowledge that you can go out of your way, not for justice, but to turn the other cheek is absolute freedom. While there’s still a big part of me that hopes in the end Leonardo wastes those suckers for what they did (I’m about to pay 12 dollars to go and see this thing after all), in reality we need a gospel that is the exact opposite of what this trailer presents. I know I do. Even though I’ve left God for dead a thousand times, He comes after me no matter how far the distance, driven by the intense desire to dispense mercy. He has come not to avenge His son’s death but to forgive me through it. This Good News is not merely based on true events. It is Truth itself. saw it twice over the holidays and will see it on the big screen.unbelievable the conditions people live through in the past and the toughness of Glass is brought home by DiCaprio.It is brutally beautiful! Dope! Thanks for the review & excellent insight!